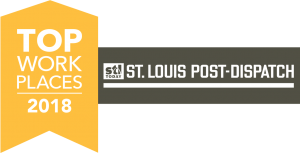 Local Surveyors Give Back at SIUE Scholarship Golf Scramble - St. Louis Engineering Firm | Thouvenot, Wade & Moerchen | TWM, Inc.
TWM’s Josh Saunders (left) and teammate won the 6th Annual SIUE Survey Specialization Golf Scramble. 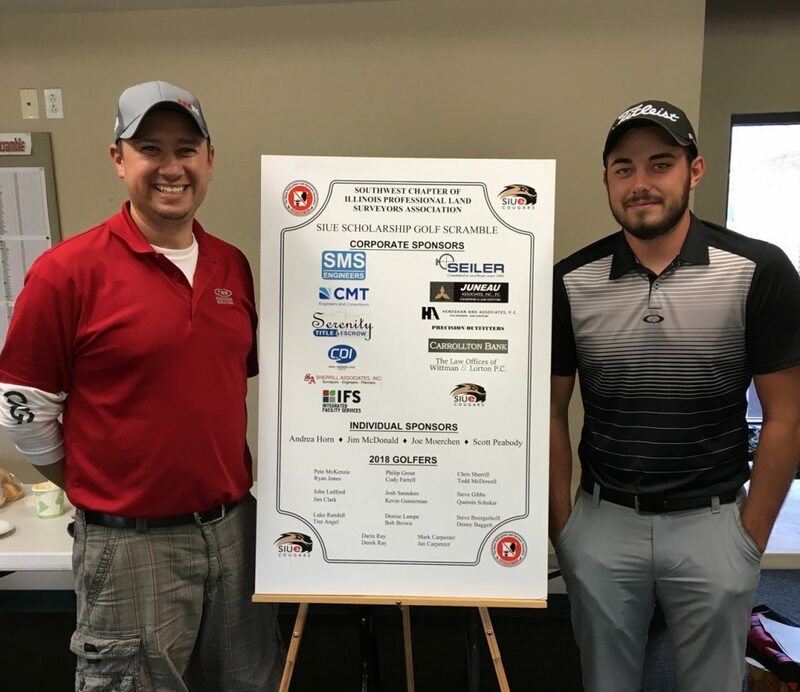 On September 29, the SW Chapter of the Illinois Professional Land Surveyor Association held their 6th Annual SIUE Survey Specialization Golf Scramble to raise money for scholarships. It was a perfect, autumn afternoon and twenty-two golfers met at the Oak Brook Golf Club to network, enjoy great food, play a round of golf and help students on their path to becoming Professional Land Surveyors. Each team competed for the best score out of nine holes on Oak Brook’s challenging course. The competition was fierce with three teams battling head to head. When the round was completed, and the three teams were tied, the scores from the first three holes were reviewed to break the tie. In the end, the team that came out on top included TWM’s Josh Saunders. Various corporate and individual sponsors pledged financial donations to support this event and to contribute to the SIUE scholarship funds. The SW Chapter of the IPLSA graciously hosted the event and sincerely appreciated the generous donations, Oak Brook Golf Course and Fire-N-Smoke for providing the venue and the food, and the participants who made the day a success. For more information on the SIUE Land Surveying Specialization program visit the SIUE School of Engineering Department of Construction’s website at http://www.siue.edu/engineering/construction/landsurveyingspecialization.shtml.